Amber lived next door. She was a fierce dog with a haunting bark. She stayed perched on the rock at the end of her driveway. And whenever I drove by, she would bark her bark, lunge at me and chase after the car. I often wondered if it were all cars or just me. I would tremble to the bones in fear. But in reality, Amber was the sweetest dog on earth. 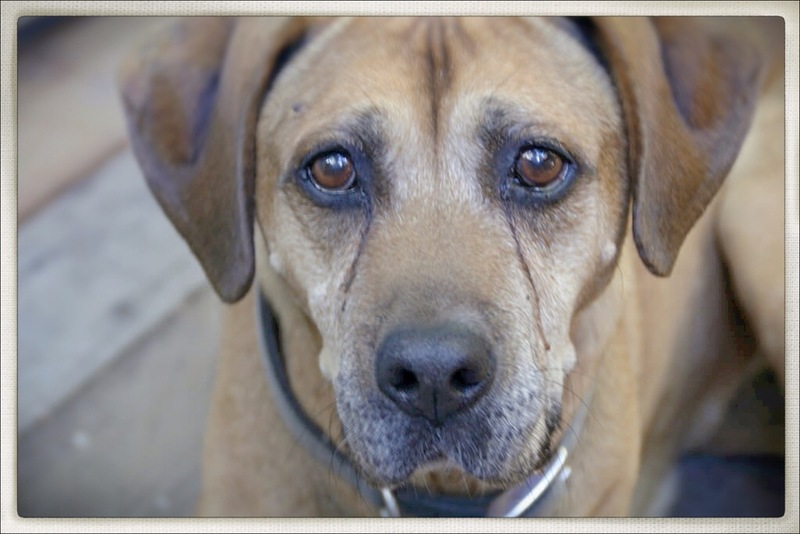 Amber got arthritis in both her hips and lost all mobility in her rear legs. We, her neighbors (four households) collectively took her in and cared for her in rotating households, giving her love and companionship, feeding her, cleaning her, changing her diapers and washing up. On occasions we would put her in a wheelchair and roll her out on our adventures. She loved picnics. Amber stayed with us for one year before she passed away.